Our QAIS (Quran, Arabic, Islamic Studies) department at Miftaahul Uloom Academy ensures that Quran, Arabic, and Islamic Studies are integrated into our academic curriculum and enhance our students’ understanding of each subject individually. Quran and Arabic classes are divided into beginner, intermediate, and advanced levels. All QAIS courses at Miftaahul Uloom Academy meet the standards set by CISNA (Council of Islamic Schools in North America), foster Islamic identity, and prepare our students for integration into a religiously and ethnically diverse society. 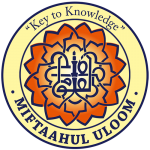 Miftaahul Uloom Academy partners with Mishkah University to offer a Dual Enrollment Program. MUA’s Quran Program has been separated into 15 levels from Pre-School until the 12th grade. A student starting his/her studies with MUA from Pre-School will complete at least 5 ½ Juz’ of Quran upon graduating from MUA. Students at all levels will understand the Quran according to what they are memorizing by learning Quranic vocabulary, Quranic stories, and Tafseer. Students will apply what they are memorizing either through writing essays, project-based learning, or community outreach activities. 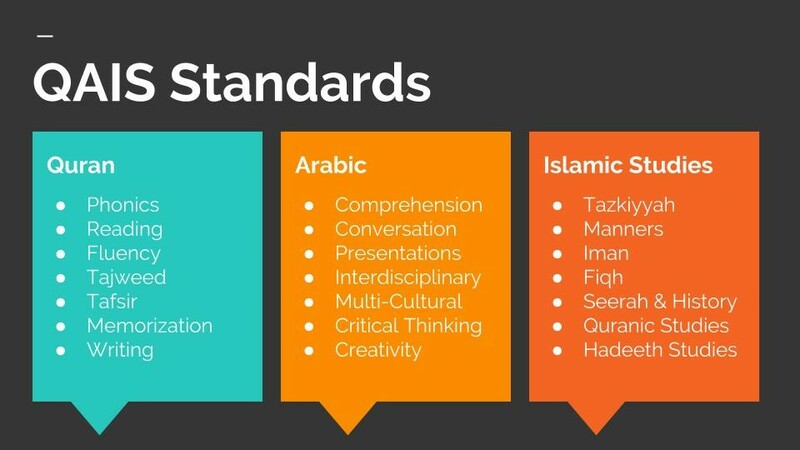 MUA’s Arabic Program is aligned with the New Jersey Core Curriculum Standards (NJCCS) for teaching world languages. MUA’s Arabic Program is student-centered promoting Arabic Immersion & Project-Based Learning so that students are constantly engaged and involved in the learning process. The Arabic Program used is Arabic At Your Hands which is a comprehensive curriculum for teaching Arabic to non-Arabic speakers. MUA seeks to link Islamic Studies content to the real needs and concerns of our students and to the larger issues they face in the larger society. MUA’s Islamic Studies Department creates Interdisciplinary Projects & Activities with the Academic Subject teachers to emphasize to students that Islam is a complete way of life. MUA presents the great Legacy of Islam to our students by constantly highlighting the countless contributions that Muslims have made to the world.